Our hometowns leave an impression. They help us define ourselves, for good or ill. My hometown of Santa Fe, NM was like a faceless fifth member of the family. I alternated between hating it and loving it, like a sibling who read my diary and then gave me a thoughtful birthday present. Its alternate routes, and hidden alleys and beautiful views and eccentric homeless citizens made for an adventurous childhood. It was a good place to grow up and a horrible place to grow up. It had awful schools, which I miraculously avoided one way or another, and an intense friction between the Latino, White and Native American populations. It also had the richest cultural life in America, with a fascinating history and artists in every other house. Its winters were cold and snowy. Its summers were hot and dry. Its springs were rainy, the air filled with the smell of oncoming storms. There was a silence that spoke to you. There was poverty that could take your breath away. It’s incredible that we all see these elements in our hometown. Maybe you grew up somewhere that was the exact opposite from where I did. A rural town maybe. Or a big city. But I bet you had the same extremes, and I bet they helped define you and how you see the world around you. I was lucky. I ended up loving my hometown. I still yearn for it and all it promises. I see where it falls short, and I still love it. But so many people I know can’t stand where they came from. They’re out and they’re never going back. I wanted to explore that dynamic in a Shirley Link book to better understand it. I also wanted to tell a story, a hopeful one, to kids who are struggling with where they are. In Shirley Link & The Black Cat, a young man, 17, and his girlfriend, also 17, are the prime suspects in a string of robberies. There’s very little evidence, if any, that they did anything wrong. But that doesn’t stop everyone, even Shirley for awhile, from jumping to conclusions. I tapped into a deep sadness as I wrote about them. They were flawed — mean, odd, petty. But they were that way for a reason. They’d constructed incredibly complex and effective weapons against their community, which, for whatever reason, decided they were outcasts. And they found each other so they could have something in their lives that wasn’t mean, odd or petty. As I wrote this growing up story I rooted like hell for them. I didn’t know what would happen. It wasn’t mapped out. In the end, I depended less on my need for a happy ending than I did on my ever-developing sense of what we need from our youth. We need support and understanding. We need company. We need community. Either our family, school and hometown provides these things or they don’t. And if they don’t? My conclusion is that we still gravitate toward what will make us feel kind, loved and understood. It made for the most realistic adventure in my middle school reader series. There are no pirates, or magic safes, or valuable comic books. Just two teens caught in a mess. And a fourteen year old amateur sleuth who wants to help, and who grows up a little bit in front of our eyes. Thanks to my dear friend, illustrator-extraordinaire Nathan Fox, you can now see Shirley in 3D! 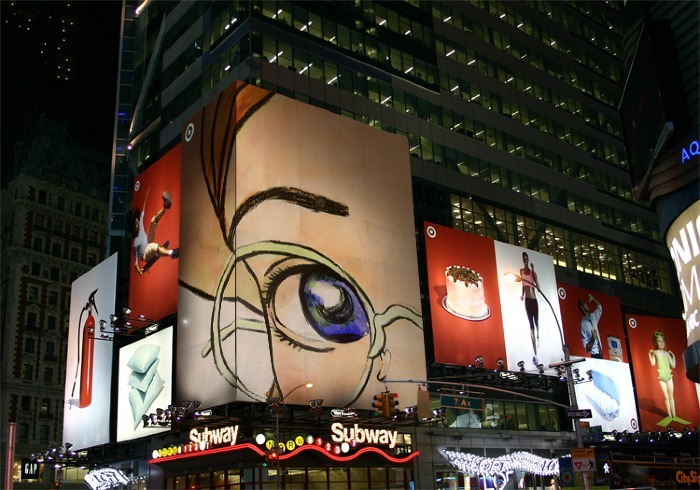 Get your free copy of Shirley Link & The Safe Case here! I’ve loved 3D since I was a kid. When I first popped on those glasses and read some 3D comic books, I was hooked. It was a bummer that the trend never caught on. Of course, the big upside of being nichey is that any new 3D comic is super special. I don’t think anything will ever match this illustration, though. Not in my opinion. Thanks Nathan! Now Shirley is that much more real. 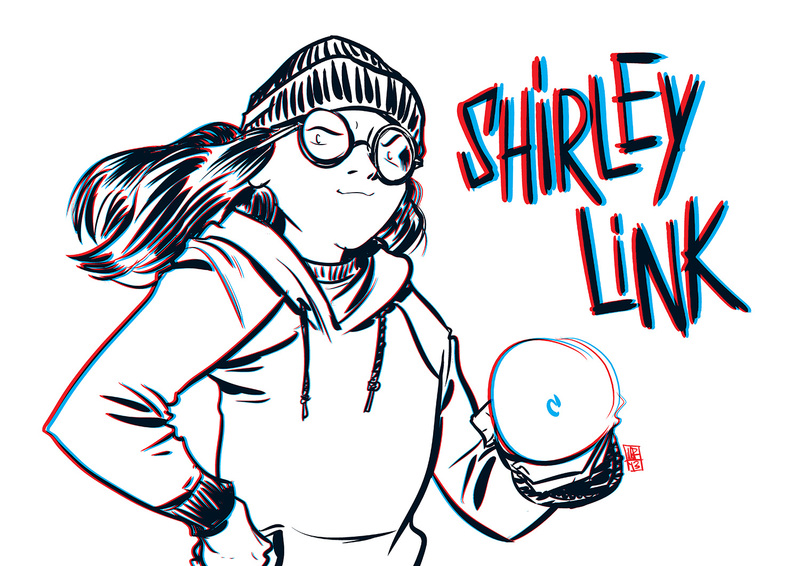 Shirley Link’s Book Series for Middle-Grade Kids! Win ‘Shirley Link & The Treasure Chest’ softcover book on Goodreads! Shirley Link & The Treasure Chest is her most exciting adventure yet. Tantalizing clues, buried treasure, and pirates; the story has it all (if I do say so myself). From meeting Mrs. Smiley, to travelling through the tunnels below Shelburne Falls, to that feeling of getting close, so close, so very close — it was a blast to write. Giveaway ends August 05, 2013. Shirley Link & The Treasure Chest, the third book in my Middle-Grade Mystery series, is out. So go to Amazon and download your own copy. If you like it, give Shirley a review! And spread the word. Shirley Link & The Treasure Chest clocks in at twice the size of the two previous books. I wanted to dig into the three teen characters some more, and reveal why they are such a great team. Shirley, Wylie and Marie are like the perfect storm. Between them, their loyalty, intellect, strength, bravery and faith in each other makes them the best sleuthing team of all time. I look forward to writing more about them in the years to come. 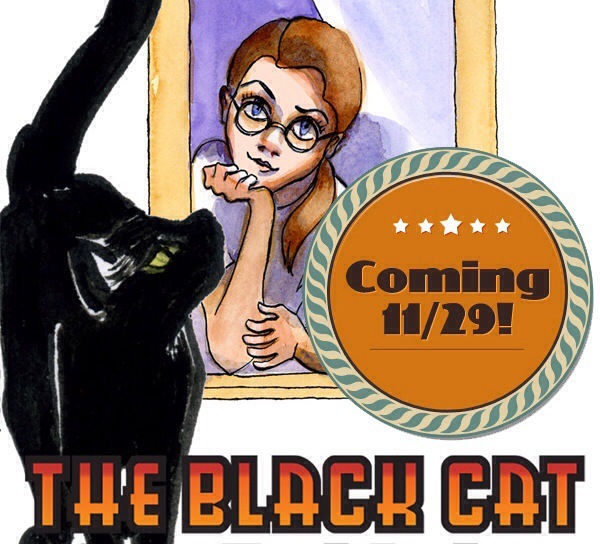 Next up in the series is Shirley Link & The Black Cat. It should be a doozy. Look for it this summer! Shirley Link loves pirates. Well, she loves the idea of them. She wouldn’t like them if they were running up the street stealing bikes, but digging for treasure and swashbuckling adventure are on the top of her to-do list. So when a clue pops up that there’s a hidden pirate treasure under her hometown, Shirley gets to work. 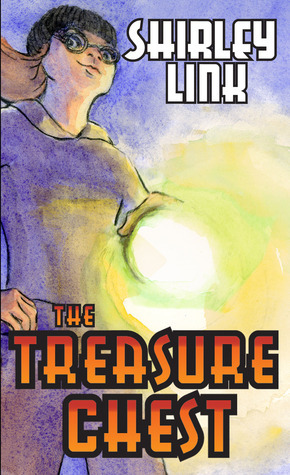 In Shirley Link & The Treasure Chest, the third volume in the critically-acclaimed Middle-Grade Mystery series, our heroine takes on her toughest challenge yet. But this time the stakes are bigger than ever. If she fails to find the treasure, or if it ends up being a hoax, then Shirley’s elderly neighbor, Mrs. Smiley, will lose her home to the bank. More Shirley, Dad, Wiley and Marie than ever before. That’s right. 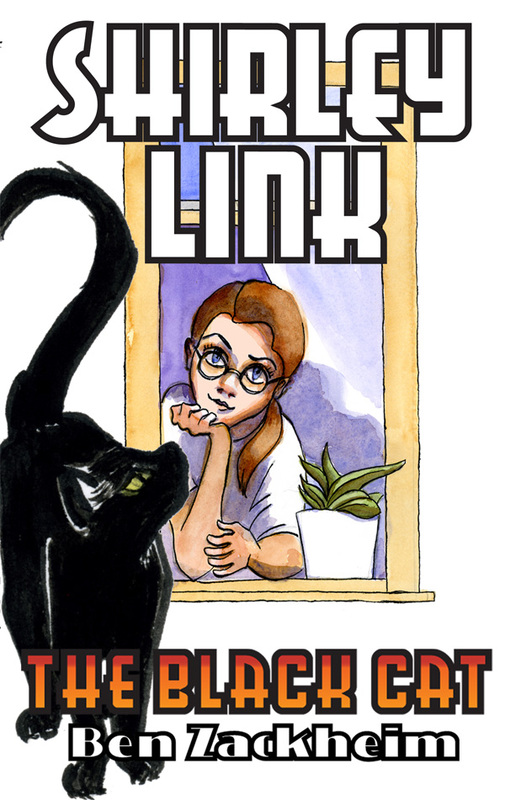 Even Mr. Link gets to join in the adventure!